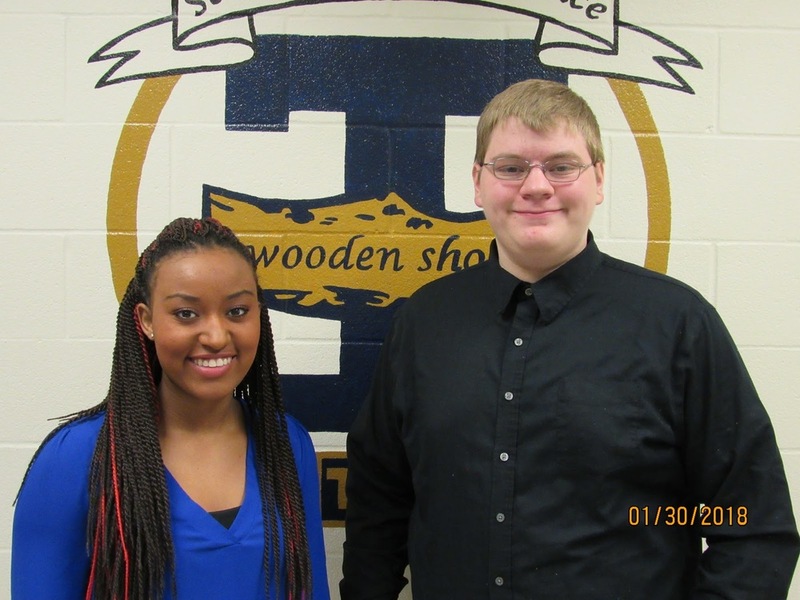 February Rookies of the Month at Teutopolis High School are Diana Mossman and Braxton Probst. They were nominated by their teachers and then selected by a team of faculty members in recognition of their active participation in school activities, their academic efforts, and their kindness and respect of others. Diana Mossman, the daughter of Darrin and Rachel Mossman, is a sophomore at THS. She has been involved with Volunteens (2 years), student council (1 year), In-touch (2 years), Spanish Club, Varsity Club, and has also participated in Catholic Heart Work Camp. Diana has been involved in tennis (2 years), cheerleading (2 years) and track (1 year). In the Fall of 2017 she went undefeated in singles with a 12-0 record. She was awarded the freshman/sophomore tennis award 2017 as well. Diana has been named to the high honor roll each quarter since she has been in high school. She also received the health award her freshman year. Some of Diana’s hobbies include tumbling, tennis, watching movies, and hanging out with friends and family. Braxton Probst, the son of Scott and Lisa Probst, is also a sophomore. He is an officer in the Teutopolis FFA. Braxton has been a member of the FFA (2 years) and Art Club (2 years). In his spare time, Braxton enjoys hunting, fishing, painting, and challenging himself to try various art projects. Probst plans to attend college and focus his studies in the agriculture field.